The cape stretches quite a bit with use. The cape is knit from the bottom up with deceases on the way up to the neck. 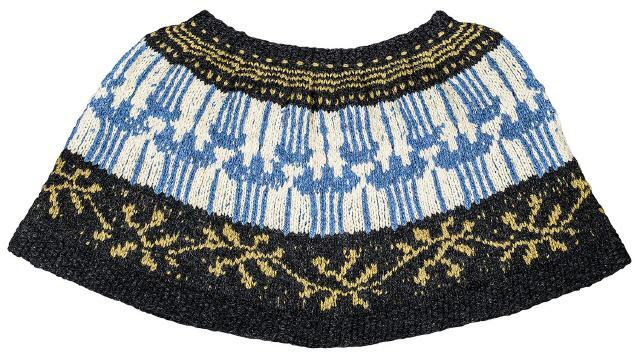 The cape is knitted with DOUBLE yarn.